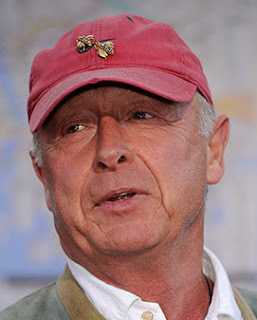 "Tony Scott did NOT have inoperable brain cancer, or for that matter brain cancer at all...this according to Scott's family. TMZ has learned ... Scott's wife told investigators the rumor that Tony had inoperable brain cancer is 'absolutely false,'" said TMZ late in the day. Synchrocinematically significant producer and director Tony Scott, brother of director Ridley Scott, has died due to leaping from an LA bridge on Sunday, August 19, 2012. 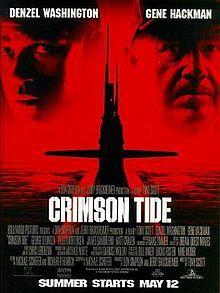 Tony Scott was a producer on his brother's recent Prometheus, background influence in the important Blade Runner film, and director of blockbuster movies including Unstoppable, The Taking of Pelham 1 2 3, Deja Vu, Man on Fire, Spy Games, and Crimson Tide. He was working on Prometheus II, as well as other movies. 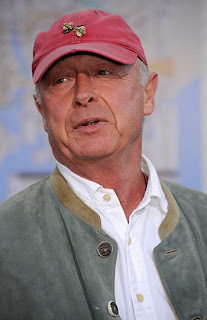 Director Tony Scott, who was the producer on his brother's best known for the films Top Gun and Beverly Hills Cop II, died by suicide when he jumped from the Vincent Thomas Bridge in San Pedro, California. Scott, 68, climbed a fence on the south side of the bridge's apex and leapt off "without hesitation" around 12:30 p.m., according to the Coroner's Department and port police. A suicide note was found inside Scott's black Toyota Prius, which was parked on one of the eastbound lanes of the bridge, said U.S. Coast Guard Lt. Jennifer Osburn. Officers with port police, the Los Angeles Police Department and California Highway Patrol joined city firefighters and the Coast Guard in searching the water for his body. Authorities used sonar equipment to track the man in the port's murky waters and his body was recovered by a dive team around 4:30 p.m., Alva said. Scott's body was taken to a dock in Wilmington and turned over to the county coroner. 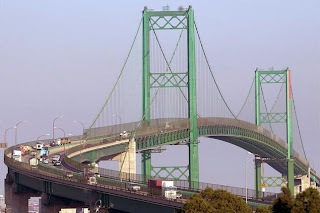 Scott, 68, jumped from the bridge that spans the Los Angeles Harbor, connecting San Pedro and Terminal Island. Scott apparently parked his car in the eastbound lanes of the 6,060-foot-long bridge, scaled the barrier fence and leaped. On October 26, 1990, 1964 Los Angeles Olympics' diving bronze medalist Larry Andreasen was a fatality after he jumped from the west tower of the bridge in an attempt to set a diving record. The bridge was named in honor of Democratic Congressman Vincent Thomas, a Croatian-American who worked hard to have it built to replace a ferry. The bridge opened to traffic on November 15, 1963. 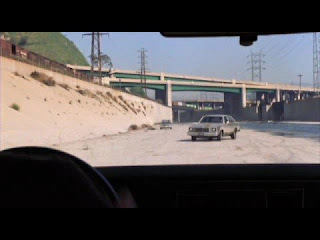 One of the filming locations (shown at top) in the 1985 movie, To Live & Die in L.A., is the green Vincent Thomas Bridge. 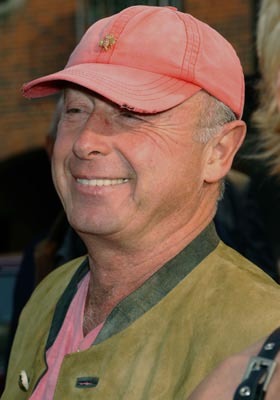 Tony Scott was born Anthony D.L. Scott in North Shields (a location just mentioned by me yesterday here), England, in 1944. 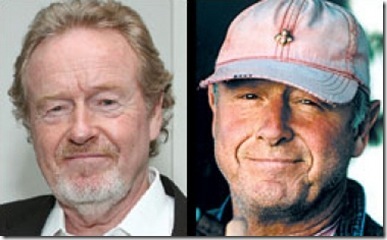 Tony Scott got his start as a teenager in films by starring in his older brother Ridley Scott's film Boy and Bicycle. In 1995, the two joined forces to create the production company, Scott Free Productions. In the 1990s, Scott emerged as a big-budget action film director in his own right, with 1990's Revenge starring Kevin Costner and Days of Thunder with Tom Cruise. In 1998 he directed Enemy of the State with Will Smith and Gene Hackman. 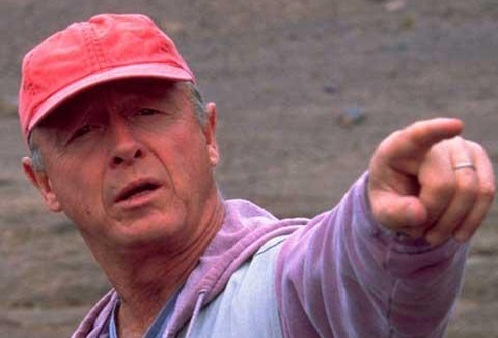 The list of films and television productions from Tony Scott is a long one, including the forthcoming Killing Lincoln and Stoker. See more bio info at IMDb here and at Wikipedia here. See also Brian Gerber suicide. There are now reports that he'd recently been diagnosed with an inoperable brain malignancy. If that's the case. . . well, I think given that info some of us might choose another way out of this life. As an action film director, this choice certainly seems to have been in character for him. "Live or die on this day". Nurse who treated Aurora victims drowns in Iowa. If Scott was indeed recently diagnosed with inoperable brain cancer, the suicide is certainly understandable. No mystery there. I've read a couple of accounts of this suicide, and they keep referring to him as having jumped off 'an LA bridge', while showing a picture of the San Francisco Golden Gate Bridge. There also seems to be a San Francisco Bay Bridge, which I googled, that looks similer. So I don't know which bridge he actually jumped off. Why doesn't the MSM just SAY which bridge he used? What's the big secret here? Another question: Why did the MSM feel a need to tell us the type and color of the car he drove? It doesn't make any difference to anything to make special note that he drove a black Toyota Prius. I wonder why the MSM has brought that to our attention? There is no mystery to which bridge. It was off the Vincent Thomas Bridge that he jumped. Sad to hear that the media is publishing photos of the SFGGB. No brain cancer, says his family. A minor but odd sync related to the Vincent Thomas Bridge: On Thursday evening, 8/16, I had an on-demand episode of the TV series "Top Gear" (the American produced version) playing in the background while doing some paper work. The last segment of the episode caught my full attention. It involved a stunt in which a motorcycle was pitted against a Corvette fitted out as a police car in a chase / race through the docklands in the Port of Los Angeles. The course included a sprint to the finish over a large, impressive looking bridge high above an industrial waterway. The program included lots of aerial footage over and around this bridge, with enough circling around the structure to make me think of vertigo. I recall thinking in passing how horrible it would be to fall off that bridge, finished watching the program and promptly forgot about the whole thing until reading Lauren's post. A look at Google Earth confirmed that the Vincent Thomas Bridge is definitely the bridge shown on the TV show. My sympathy to Mr. Scott's family and friends. He also produced a "Death Wish" remake to be released next year.